Most fans of Celtic culture already know that Dracula is the Irish creation of Bram Stoker, who wrote that scary novel, but there’s also a vampire that resides right smack in the middle of Ireland. According to Celtic legend, an Irish woman, who was known throughout the country for her beauty, fell in love with a local peasant, which was unacceptable to her father. Her father forced her into an arranged marriage with a rich man who treated her terribly, and eventually she committed suicide. She was buried near Strongbow’s Tree in Waterford, but one night she rose from her grave to seek revenge on her father and husband, sucking their blood until they dropped dead. 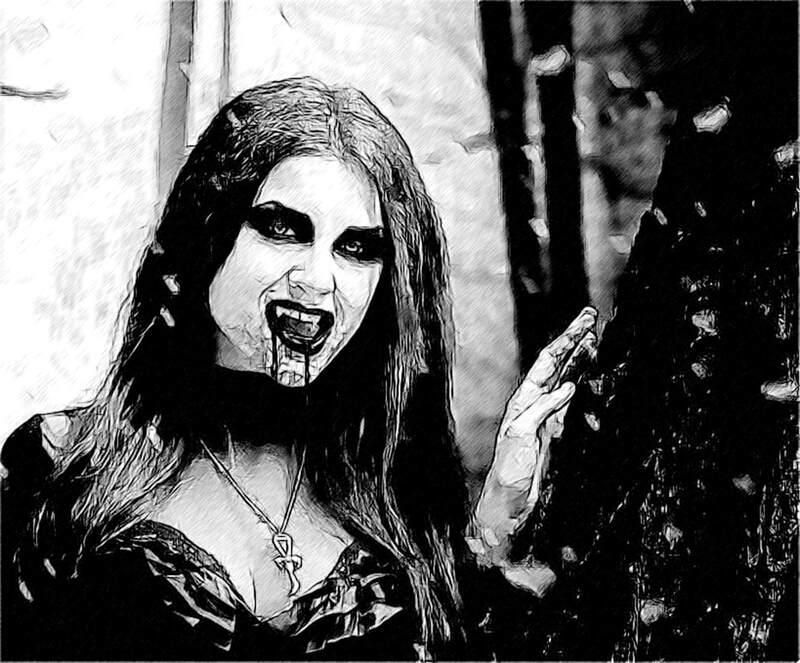 Now known as Dearg-Due, the vampire rises once a year, using her beauty to lure men to their deaths. And there is only one way to defeat Dearg-due. To prevent this vamp from rising from the grave, you simply build a pile of stones over her grave. It won’t kill her, but at least you’ll hold her off until next year. While there is no confirmed link, some think that the legend of Count Dracula might have, in some small way, stemmed from the myth of the Dearg-Due. Written in 1897 by Abraham (Bram) Stoker, a born and raised Irishman, Dracula, though highly praised by critics, was initially not the overwhelming blockbuster we know today. Stoker had been studying and researching European folklore for many years prior to the writing of the novel, and of course, legends of Nosferatu and Vlad the Impaler were well-known …and well-feared …throughout the lands of Transylvania and Romania, where Stoker was then vacationing. In his youth, Bram was a very sickly boy. Bedridden until the age of seven, his time was often filled by stories told to him by his mother, Charlotte. Even though Charlotte was a charity worker by trade, she was also an aspiring writer, so it stands to reason that her imagination and storytelling ability was formidable. Her own childhood was littered with images of the cholera epidemic that ravaged the country in 1832, which no doubt gave her dark stories an even more decidedly morbid edge. Young Bram was enthralled, and his imagination went merrily along with hers. As natives of folklore-steeped Ireland in the early-to-mid 1800s, survivors of the Irish Potato Famine (and the various assortment of horrors that followed in its wake), it is possible that not only was the legend of the Dearg-Due known to the Stokers… but that a fragment of her lore, no matter how small, was imprinted into the pages of Dracula. There is further evidence even in the names of each of these “monsters.” Dearg-Due in Irish is pronounced DAH-ruhg DU-ah / DAH-ruh-guh DU-ah). Dahrughduah and Dracula - pretty close if not originating from the same ancient legend.